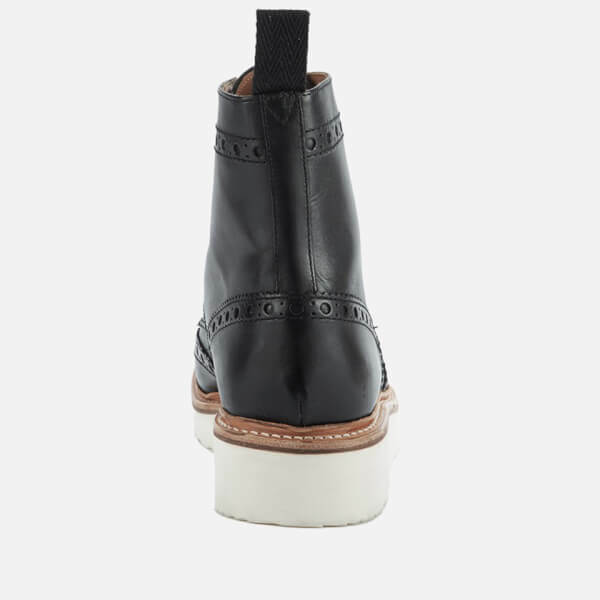 The Fred boot is similar to the Archie V style with a wide thick light weight white sole, leather finish, brogue detailing and a full laces and an ankle pull. 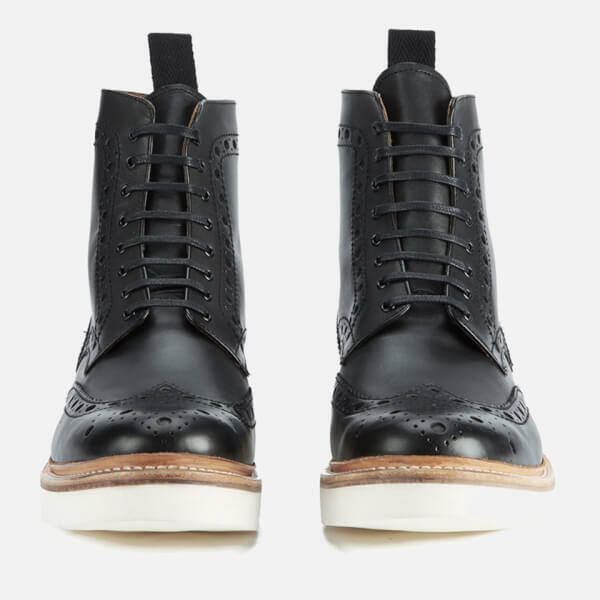 The intricate detail mixed with the chunky sole merges modern styling and classic design nicely to create a boot for all occasions. 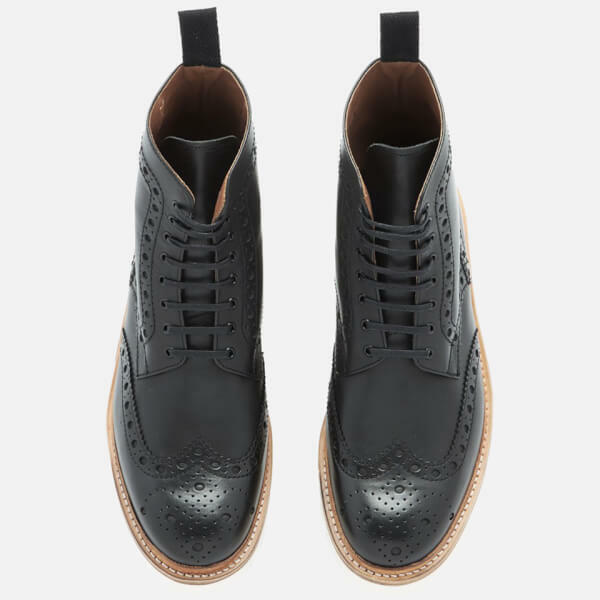 MR WILLIAM GREEN founded Grenson in 1866 in Northamptonshire, UK. They specialised in making high-quality men’s shoes. 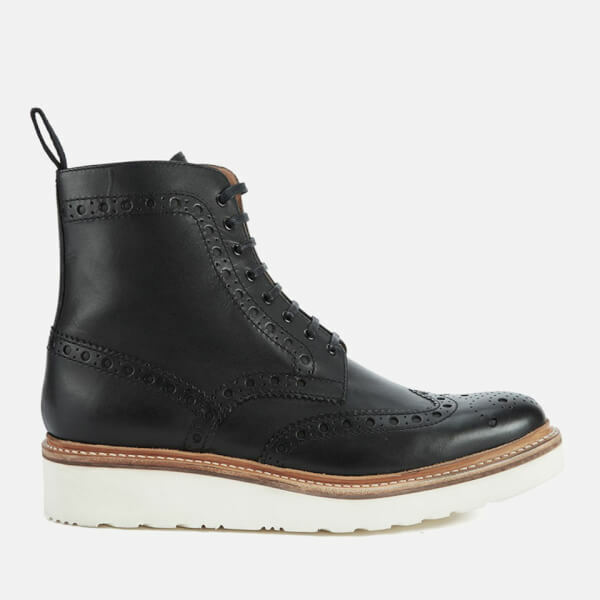 Initially the company was called Green & Son, before merging the names together to become Grenson. The factory which Mr Green opened in 1874 was the first in the world to use the Goodyear welting construction method, which is now a hallmark of all well-made British shoes. The business was sold in 1980 to the Purslow family who ran the business for nearly thirty years before selling it to Tim Little in 2010. 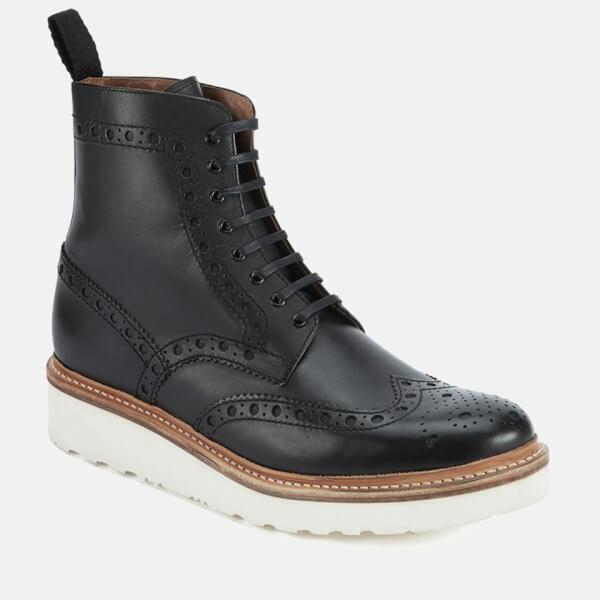 Now an established shoe maker, Grenson still produce a high standard of shoes and boots for the uber stylish. Upper: Leather. 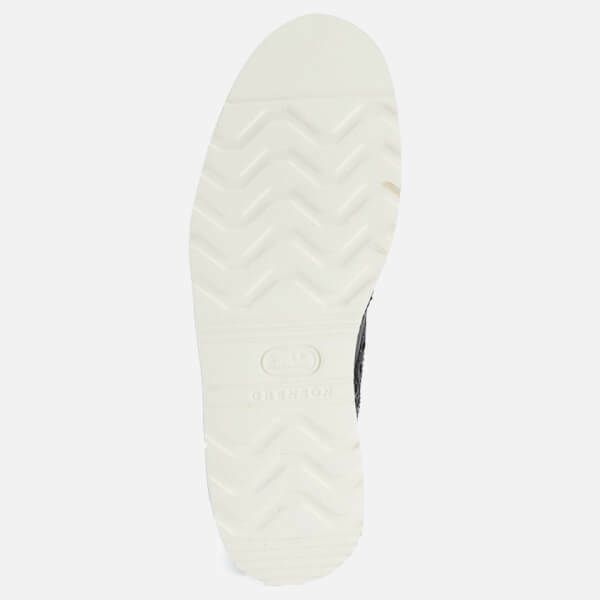 Sole: Vibram Rubber.